Somehow Easter became another holiday synonymous with candy and fake food additives, like artificial chocolate bunnies, Peeps, Cadbury eggs, jellybeans, and eggs dyed with artificially derived colors. I prefer to celebrate the holiday for what it is, a celebration of the resurrection of Jesus, but I do indulge my children in the more modern traditions of the holiday as well. Instead of buying into the whole candy aspect and the use of artificial colorings, we take a different spin on things. 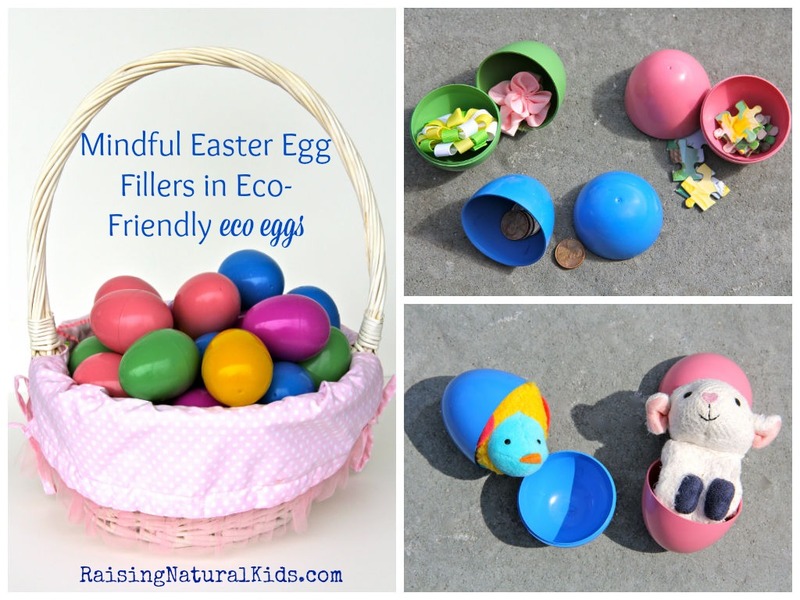 From egg decorating, to the egg hunt, to the Easter baskets, here are lots of mindful, candy free and artificial dye free ideas with some DIY money saving tips mixed in! I like to eat eggs, just not eggs tainted with the artificial food colorings that are linked to cancers and issues like hypersensitivity and ADHD. These dyes pass through the shell and onto the white of my egg, and thus into my body when consumed – not something I find desirable. Four years ago I stumbled upon a great alternative – natural dyes derived from vegetable and fruit sources. The colors are amazing. They are not the typical colors that the artificial dyes produce; these are deeper and more rustic. I always use brown eggs, so the colors really turn out neat on top of the brown. You can purchase these on Amazon or, if you are a fellow Long Islander, at Healthy Alternatives in Babylon! Another option is McCormick’s version, which I have yet to try, but is also made from plant-based colors. 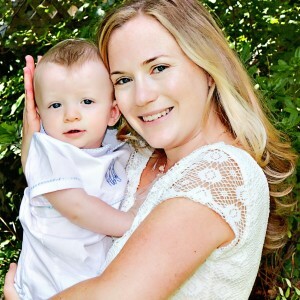 **Raising Natural Kids serves as an affiliate for Amazon. 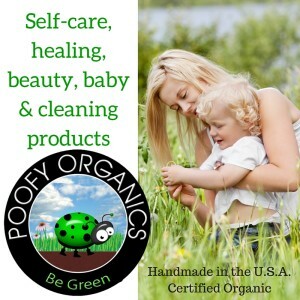 We link any products we use in our own homes and with our own families to Amazon when applicable. An even better alternative is to try your hand at making your own food dyes if you are up to the challenge – just know that some of the homemade dyes have to be made at least 1 day in advance and some of them require you to sit the egg in the dye for 24 hours in order to get a bright color. 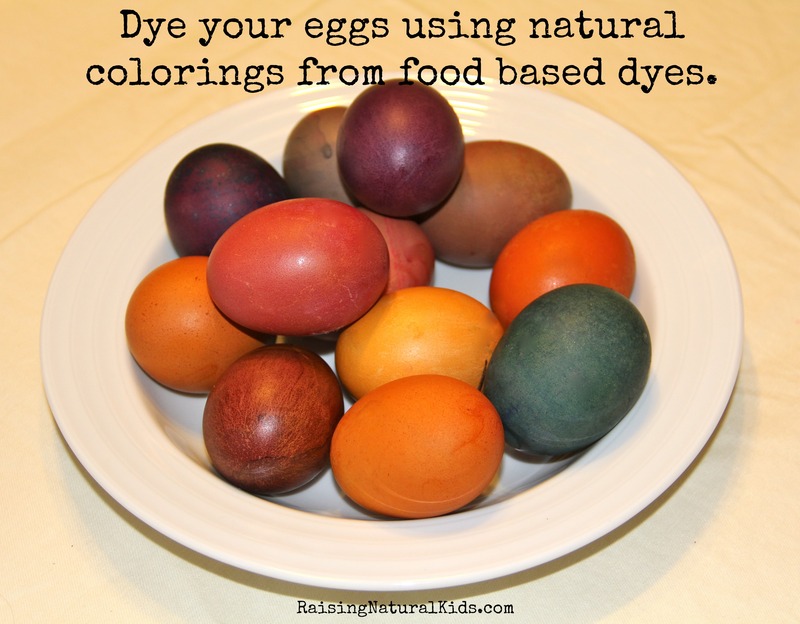 Here are some recipes: Dyeing Easter Eggs Naturally, Naturally Dyed Easter Eggs from Conscious Crunch (this post has some great photos), and from Mommypotamus, Dyeing with Everyday Ingredients. You can also decorate the eggs without using dye at all! Double-sided adhesive tape along with some colorful glitter makes for some beautiful eggs. Stickers, washi tape, ribbons and rickrack also make for some unique decor. See these Pretty No Dye Eggs for some examples! All items in the baskets can be found at Healthy Alternatives in Babylon, NY, for my Long Island readers. I have linked the other items where people from all over can find them. Baby Basket (Bottom Right): Green Toys Stacker, Green Toys Teething Keys and Green Toys Twist Teether, Rich Frog Rubber Duck, Rich Frog Lil’ Sparky, and Rich Frog Organic Bunny (sold only in stores), Wooden Baby Rattle, Apple Park Organic Ducky Picnic Pal and Apple Park Organic Bunny Teether, Under the Nile Organic Baby Buddy, and a Haba Hanging Toy. Toddler Basket (Top Right): Green Toys Car, eco-kids eco-dough (an all natural play-doh that’s so soft!) 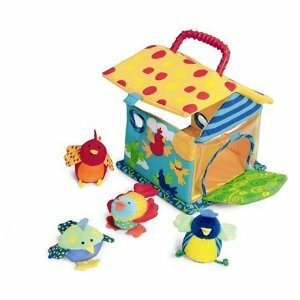 Apple Park Organic Bunny, Woodstock Chimalong, Tegu Magnetic Wooden Blocks, and Dreamland CD. Younger Child Basket (left): Artterro Art Kit (made in Canada), Buddha Water Art Board, Ball of Whacks (magnetic 3D puzzle), Children’s Spirit Animal Cards, Non-Toxic Nail Polish by Poofy Organics, and USA made wooden bracelet. Don’t have a lot to spend? 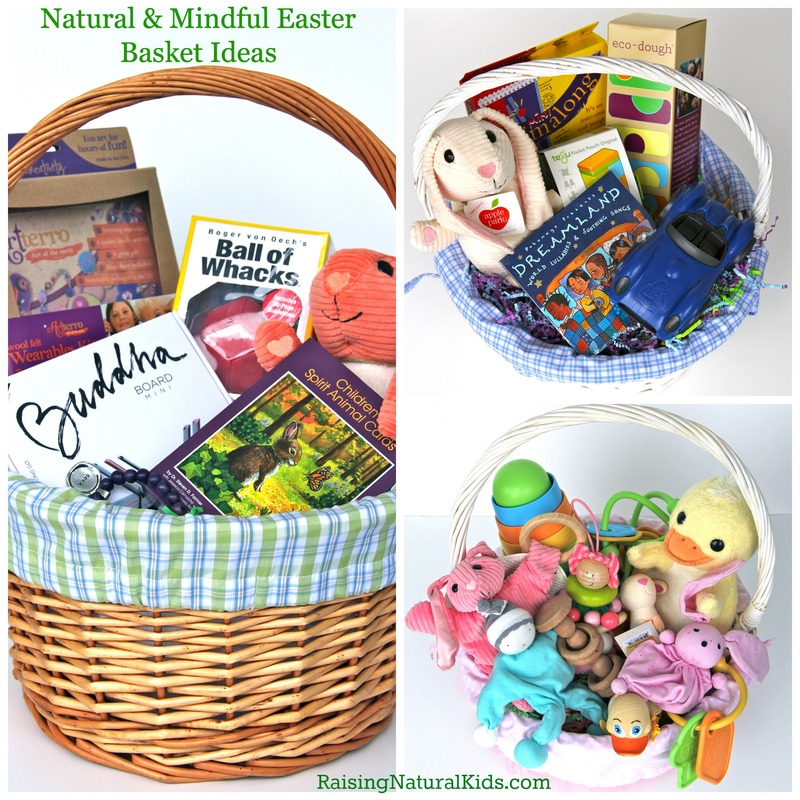 Another idea is to fill the basket with items that the kids are going to need in the coming months, thus you are essentially filling it with things that you need to purchase down the road anyway. 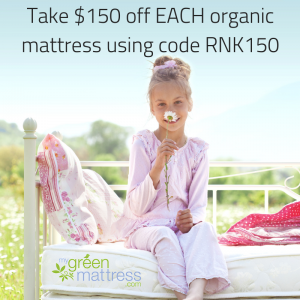 Ideas: organic summer pajamas, bathing suits, organic onesies, sunglasses and sandals. 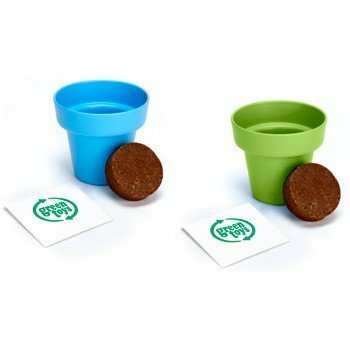 1. eco-kids eco-dough – the natural version of play dough, OR you can make your own play-dough and store it in old food containers or jars that you have decorated or covered in fabric or paper. I personally like the eco-dough because it has a nice texture and is free of toxins like artificial colorings. 2. Seed kits to start on a garden. 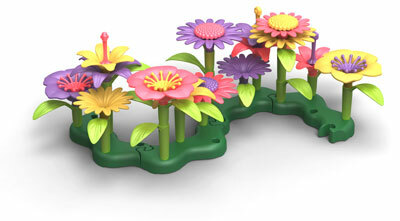 Green Toys sells planting kits with eco-friendly pots that are super cute and under $6.00! The Busy Boat by North Star Toys – Great for the Tub! If you hide the plastic* eggs and are looking for safe items to stuff them with, here are some ideas. If you are hiding them for a toddler, buy the larger size eggs as they can hold items that take up more space than the candy traditionally hidden in them, and the items that you place in them can be big enough to not pose choking hazards. 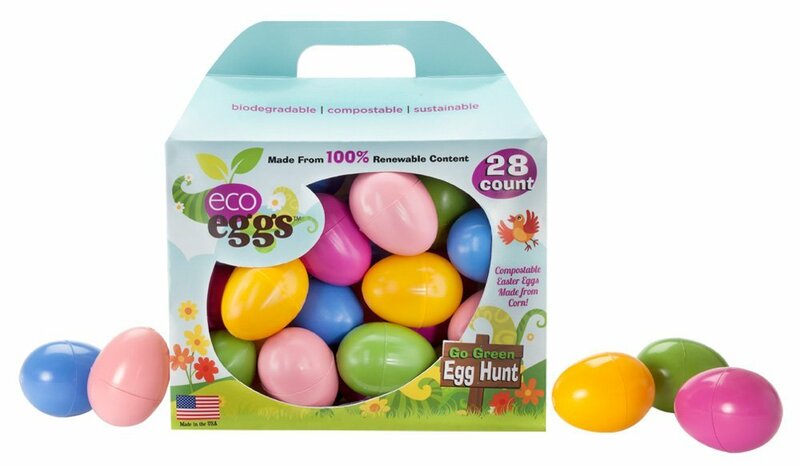 * Your egg hunt eggs don’t have to be plastic! 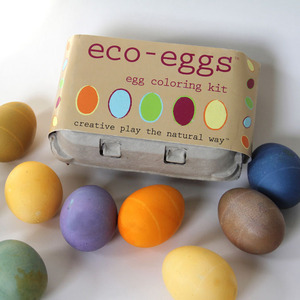 Check out these compostable eggs made from cornstarch! 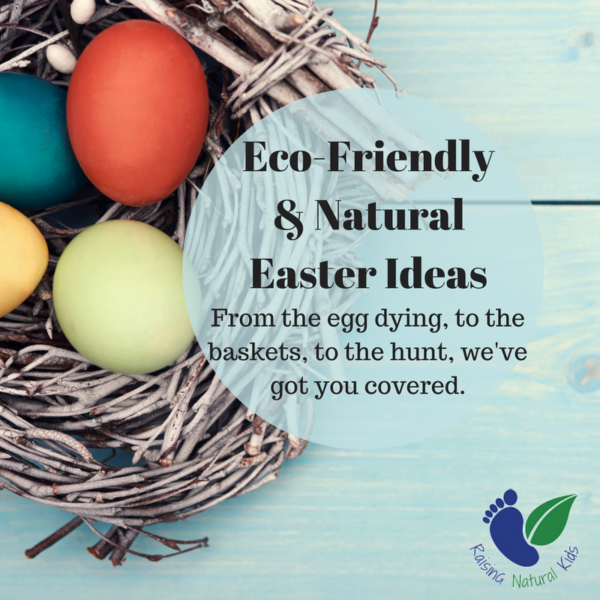 **eco eggs also makes eco-friendly eco grass made from recycled paper for the Easter Baskets! 1. New for 2019 – SEEDLES! These are balls of seeds, like wildflowers, that the kids can plant! 2. Coins – my kids love coming into the house after the hunt to put their money in the piggy bank. 3. Stickers work especially well for the younger kids. 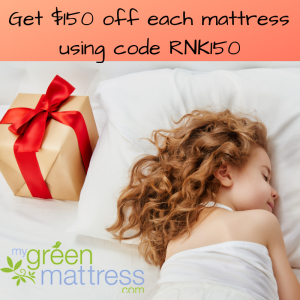 If you buy sheets that don’t fit into the eggs, you can always cut them down – you can even put one sticker in each egg, making it relatively cheap, while still having something in it that a child will find to be exciting. 4. 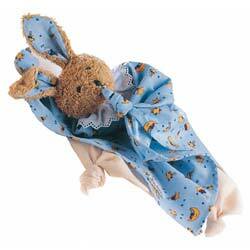 Plush toys that can squish down. For example, last year we got our daughter something similar to the birds in the photo below and put each of the birds in an egg. We then put the birdhouse in her Easter basket. 4. 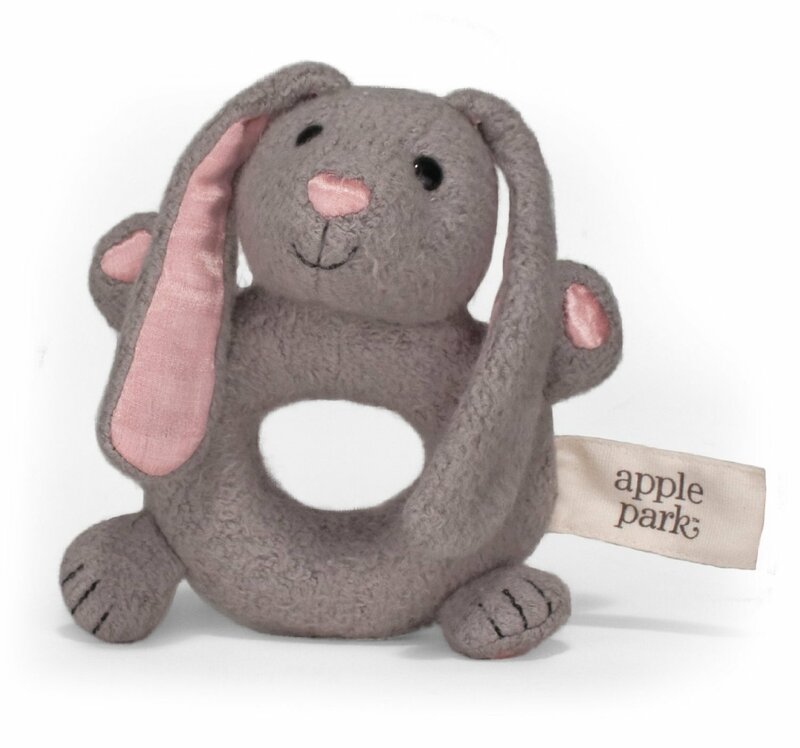 Finger puppets – Apple Park has some great organic ones, as pictured below. 6. 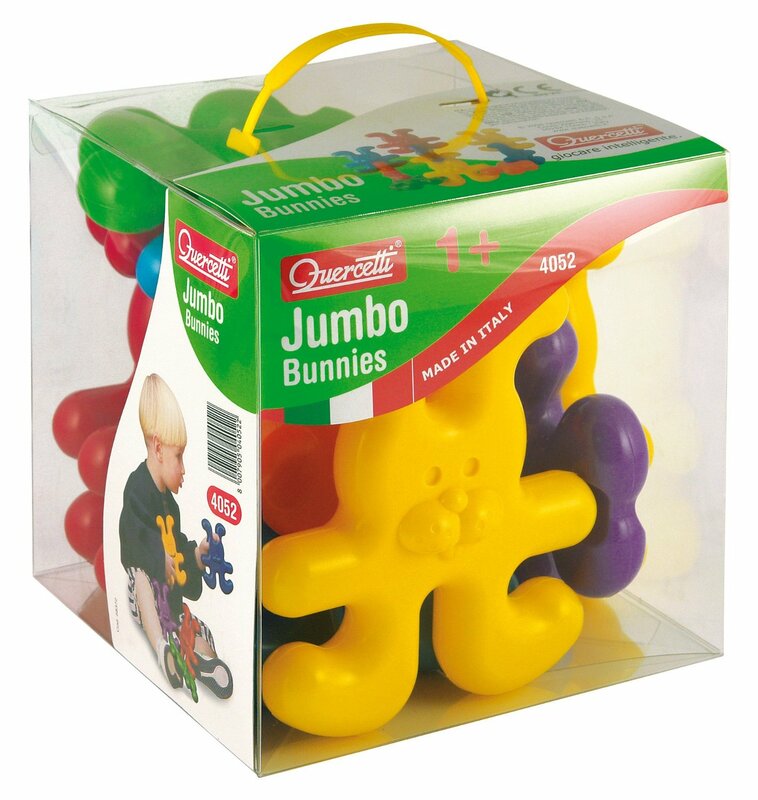 Puzzle pieces – Once the kids find all of the eggs, they’ll have all the pieces to the puzzle. If you are hiding for more than one child, you can color code the eggs. 7. Hair Clips – What little girl (and sometimes boy) doesn’t love hair clips! You can probably find some great homemade ones on ETSY. 8. Mini Erasers – My kids love to collect these! 9. Break up a package of anything they like and split it into eggs. As cheap and, well, as much as I don’t like them, my kids friends got them into Shopkins. My older two and 5 and 7 and there’s no stopping their collection, so I got a big pack and put those into the eggs. 10. 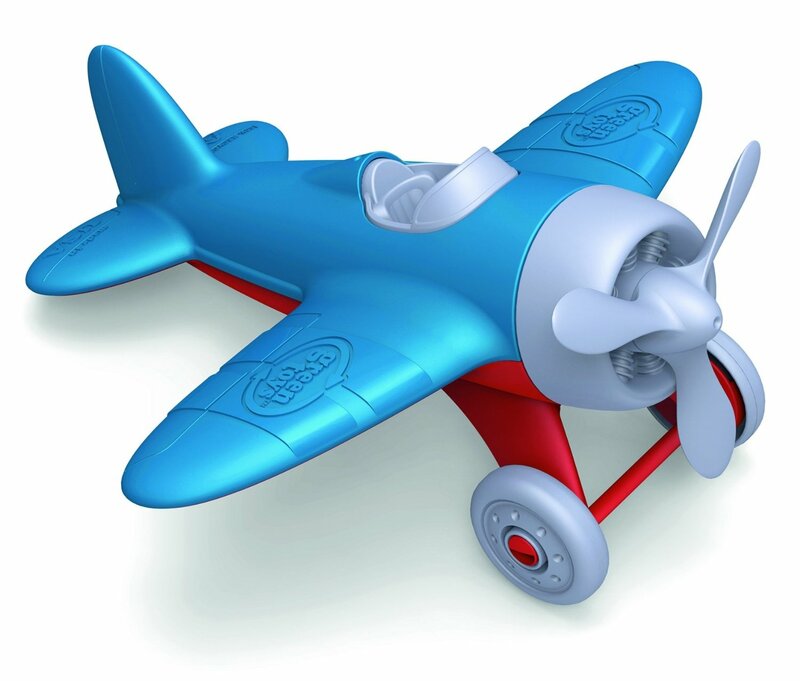 Any toy your child will fancy from Pure Play Kids, an ALL AMERICAN MADE company! 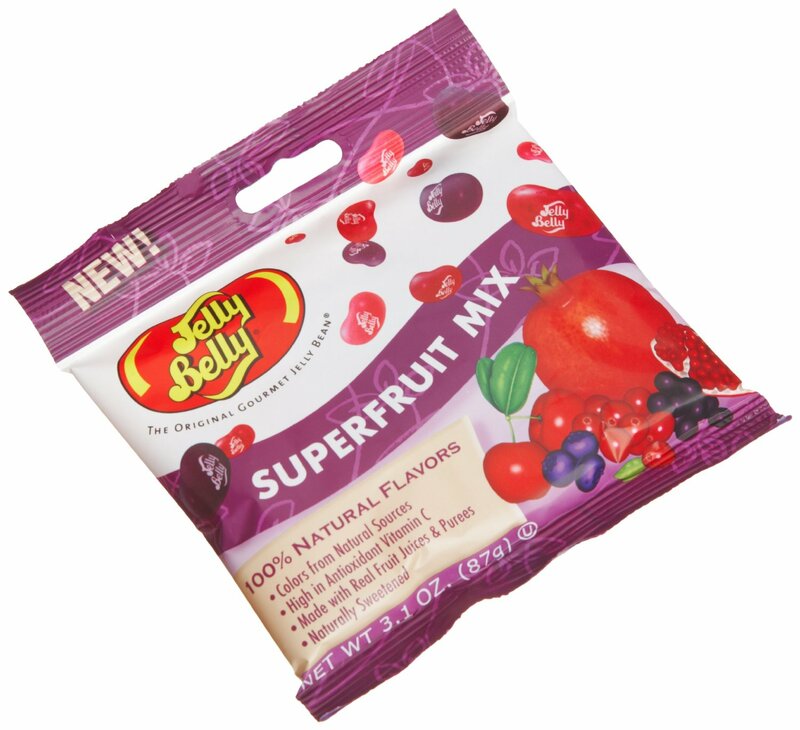 11.If you want to give jellybeans, but don’t want the artificial dyed and flavored ones, try Jelly Belly’s Superfruit Mix! We try not to give the kids much sugar, so we don’t give these ourselves, but it’s what we let the grandparents give as a special treat. Don’t stuff them at all! 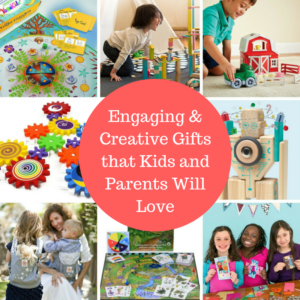 Make it a contest with a prize at the end instead of little gifts inside! The prize can even be the Easter basket itself; hide the basket and fill the eggs with puzzle pieces that, once together, give clues as to where the basket is hidden. 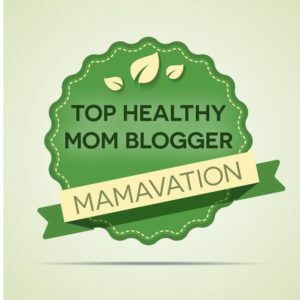 *Thank you for checking out this post! Some of these links, specifically the ones that lead back to Amazon, are affiliate links. Since I take the time to put all of this information together, it’s a way for me to make a small percentage to cover some of the costs for the upkeep of this blog. Thank you for your support by purchasing through the links. Any other links on this page are not affiliate links.